Fixing a lawn mower is not an overly difficult job. 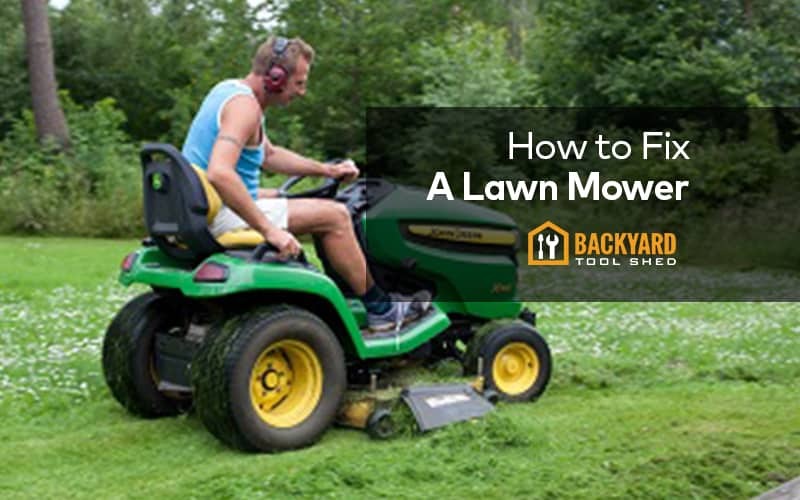 We have put together a guide on how to quickly and easy fix any problems you have come across with your lawn mower. To be able to clean tough rust from different parts, theres different oils that can help you get this done in a effective way, check our liquids section to learn which oil is best for your needs. The spark plugs of the lawn mower need to be disconnected before you started fixing. It will take just a few minutes to do so. The protection for your eyes and skin is also very much important while repairing your lawn mower. Make sure before you begin looking over your lawn mower that you put on a pair of gloves and some kind of eye protection. Even a pair of glasses is better than nothing. However, we recommend proper safety glasses. These can be purchased from any hardware store for cheap. Or you can just buy them online at a store like Amazon and have them delivered same day. The issue with the lawn mower should be pre-diagnosed before you start tinkering with the engine. The spark plug is the first clue to check for the lawn mower;s problem. The spark plug’s condition can help you in letting you know what is going on with the lawn mower. One of the most important and common ignition systems is the magneto ignition system. The crucial thing about this system is that there should be a gap between the various magnets, Flywheel, and Magento. The Flywheel should be turned by the starter having two teeth. So that the same be to turn and when the brake attached can be disengaged the respective cord will rewind. The gap between the Magneto and Flywheel should not be wider than the thickness of any playing cards. You should check all the wiring systems and also have a look on grime or wear that can cause problems to the Lawn mower. The ignition system can be easily tested by touching the end of the spark plug connecting to any ground piece of metal and see if there is any spark while initiating the engine. But the precautionary part is that you do not hold any metal to spark plug as it can be painful zap to you. Learn the various tricks before you remove the flywheel from the lawn mower, as the same is also not easy to go for. The nuts of the Flywheel hold on very tightly and you can only think of removing the same by rotating the crankshaft with the said wrench which is holding the various nuts on the blade or by blocking on the rotation on the same too. Do not try to pull or hold the Flywheel at its place, you need to gently pry the Flywheel with the help of the crowbar. The flywheel can be lifted by rotating the same. The key used for the Flywheel should be kept safe with you so that you do not miss on the same. The key point in fixing the lawn mower is the checking of the carburetor, as it can have the number of issues that you haven’t thought of too. For the Lawn mower to function smoothly the Carburetor should be clean as they are the one of the crucial parts that if malfunction, then they can cause the blockage of the lawn mower too. Undoubtedly the Carburetor is very much important to clean at times. If you have a gasoline stand installed in the lawn mower, then it can be an issue that you need to check for the gunky varnish to be removed if the installation is about one-year-old. You can do the same, by introducing the metal parts in the jar for overnight. If you have jets installed in the Carburetor then you need to clean them as well, as if they are dirty they tend to get clogged with the time. To lean them you can clean the by using a wire too. If you find that the engine is showing issues in getting started, then it is a chance that the hole in the gas cap may be clogged. To check out on this you can try a slight screw on the cap and see if the engine starts. And if you didn’t find it successful you can run a neat wire and surely it will be successful in cleaning the clogged hole for you. There are two values which are installed in a four-stroke engine. These valves should be in the right condition for working properly, they can be cleaned up easily. Once you have reached the place that needs your action to be taken, then check on the valves as well. 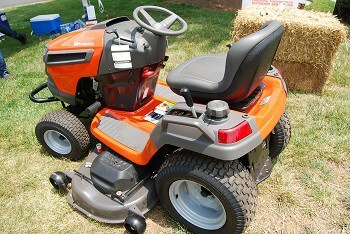 Once you look forward to buying the best lawn mower you will see it is quite easy to operate and less expensive. While rotary lawn mowers are the one that can give your lawn a manicured or clean look, they can also make your grass short in a very short time. 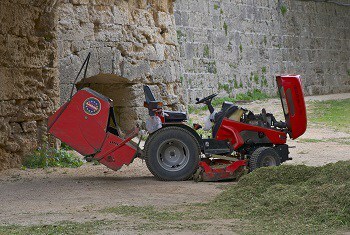 They usually have a bag attached to them to collect the grass that is being cut or trim. You can choose the best one as per your needs and the style you want to use for yourself. Make sure to choose a lawn mower that will work best for you and your budget. Smaller mowers cannot be ridden, but cost less. Riding mowers can obviously be ridden, but cost more. 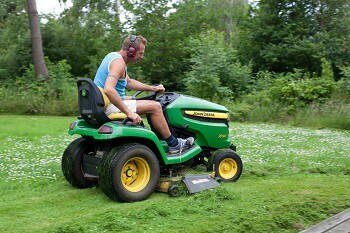 It will depends on how much effort you are looking to put into your grass cutting. Some people enjoy sweating it out once a week, some people do not want that at all. Having a lawn mower that you enjoy using will be easier to work on. The motivation will be there to get it working like it is new once again.